I was really on a kick making those pumpkin lattes in September when the PSL craze always hits. Then October came around and I got tired of them. 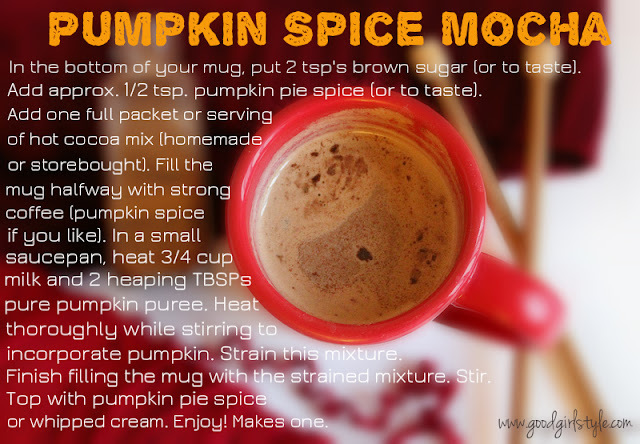 Adding chocolate to Pumpkin Spice? So this lazy Sunday afternoon, my mom and grandma came over and we made these Pumpkin Spice Mochas and chatted about poetry. I'm not sure I can think of a better way to spend a Sunday. And now I'm back on the PSM kick. 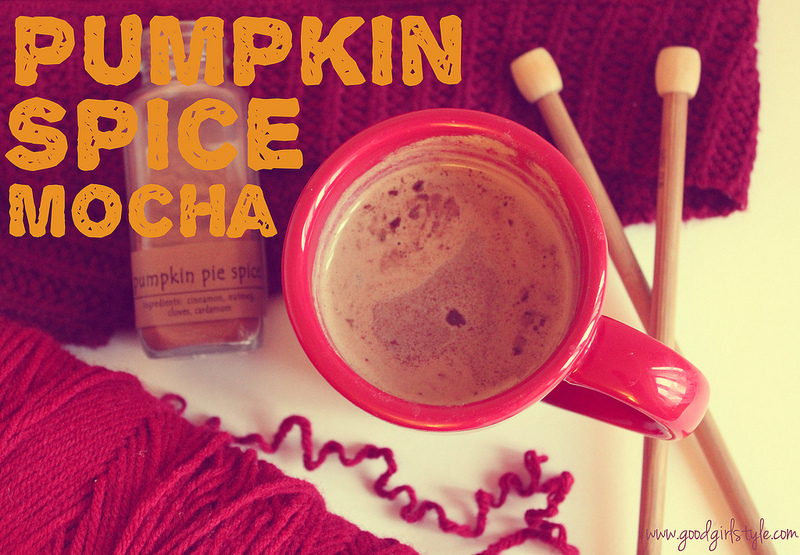 That's a Pumpkin Spice Mocha kick, in case you didn't catch that. Grandma said it was every bit as good as the real coffee shop version, and my very picky coffee-savvy mom agreed that it was exceptionally delicious. Me? Well I was too busy drinking mine in a moment of bliss that I didn't say anything. You must make sure you serve these hot. Enjoy on a snowy November morning or afternoon...like today! Hooray! I'm so glad you both enjoyed it.